Caryopteris-Bluebeard Caryopteris x clandonensis, commonly known as Bluebeard, Blue Spirea or Blue Mist is a mounding deciduous shrub and a welcome addition to the garden since it is in bloom beginning gin late July through autumn. 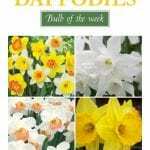 It prefers a well-drained, sunny spot and typically reaches a height of approximately two to three feet tall and wide. Caryopteris gets its common name Blue Mist because its flowers are said to resemble clouds of blue smoke or mist. It puts on quite a show when planted in mass. 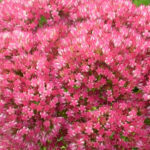 The foliage of Bluebeard is very aromatic as well and it is a fantastic plant for pollinators including butterflies, bees and other beneficial insects. We are currently growing six varieties of Caryopteris. Sunshine Blue® II and Lil Miss Sunshine are Proven Winner varieties that have yellow foliage with beautiful contrasting vivid blue flowers. Beyond Midnight is another Proven Winner variety that has extremely dark glossy green foliage along with rich blue flowers. Another interesting variety we grow is Snow Fairy which has variegated green and white foliage in addition to its blue flowers. 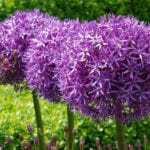 Dark Knight is an older variety but is extremely reliable with deep blue-purple flowers and grayish green aromatic foliage. The sixth variety of Rohsler’s grown Caryopteris is Grand Bleu which has deep green aromatic leaves with silver undersides. It is a more compact variety than the others and has deep purple flowers. 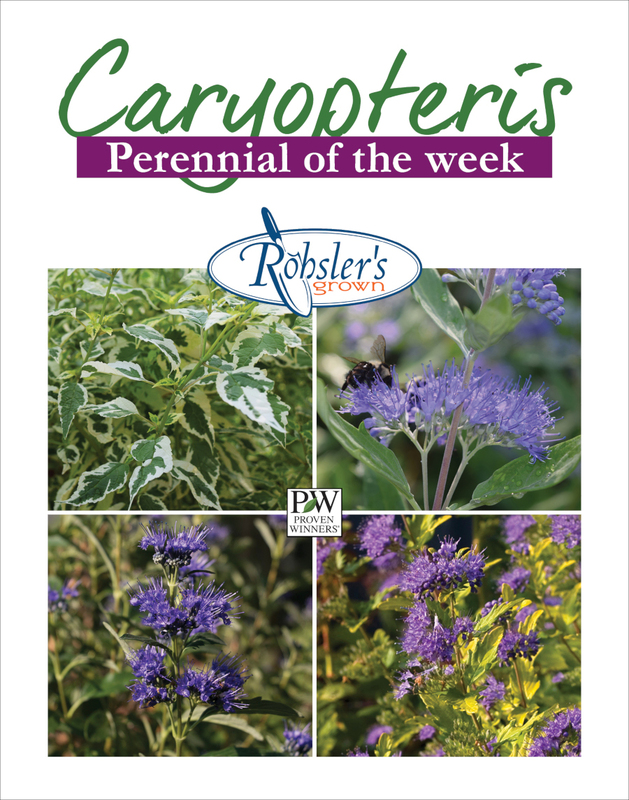 Caryopteris has roots winter hardy to USDA Zone 5, but top growth that is only reliably winter hardy to zone 6-7. We are considered zone 6 in Northern NJ, so the plant is plenty hardy. What this means is that the foliage typically dies back to the ground in the winter. 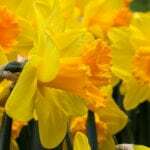 We recommend a hard pruning in early spring which will produce a nice full plant with many flowers. Caryopteris is drought tolerant, relatively disease and pest free as well as extremely deer resistant making it a beautiful “Sure Bet” for any sunny garden. 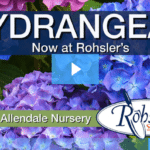 All Rohsler’s Grown Caryopteris are now in bud and bloom and are on sale at 30% off. Our staff looks forward to seeing you and helping you with your selections and questions.